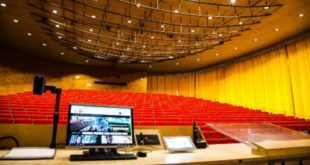 Salzbrenner Stagetec Mediagroup is to showcase its Vivace acoustics system at the upcoming Prolight + Sound show in Messe, Frankfurt. 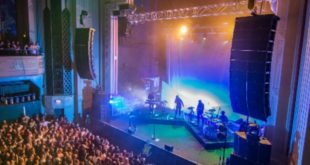 The system is intended for use in both installation and live sound applications, and is designed to both improve acoustics, whilst providing such effects as directional sound reinforcement for fixed and moving sources. It is also able to move sources and effects through three-dimensional space. Visitors to this year’s Prolight + Sound will be able to experience Vivace’s features in a temporary installation, with the system being showcased in its own booth, whereby five microphones, 27 speakers and three subwoofers will be put to use for the demonstration. With this setup, the capabilities of the system will be demonstrated live every hour starting at 09:30 am. A musician playing clarinet live will introduce the benefits of acoustics enhancement while 3-D effects are demonstrated via playbacks. All presentations will be held in German and English language. Chinese and Russian presentations are also possible on request. Also at Prolight & Sound 2012, a new Vivace control surface running on Tablet PC’s will be on show. It expands the range of control options as a remote device, which can be used for rehearsals or whenever more flexibility is required.